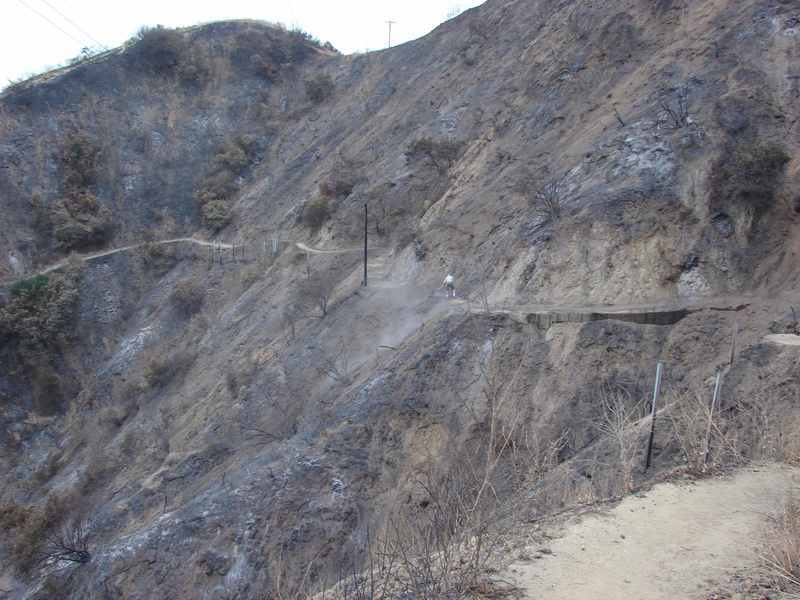 Press Release posted 5/18/14 – Year after year, Sierra Madre is faced with the potential for disaster. As we get closer to brush fire season with its high temperatures and low humidity the once green vegetation that surrounds our City starts to turn brown as the moisture is pulled from it by the Santa Ana winds that blow in off the deserts. The thick, volatile chaparral that blankets our hillsides are like bombs waiting for their fuses to be lit. We have all heard the term “firestorm” used to describe the incredible temperatures and tremendous winds that are generated in a raging chaparral fire. Hardly any house can withstand direct exposure to such a storm. 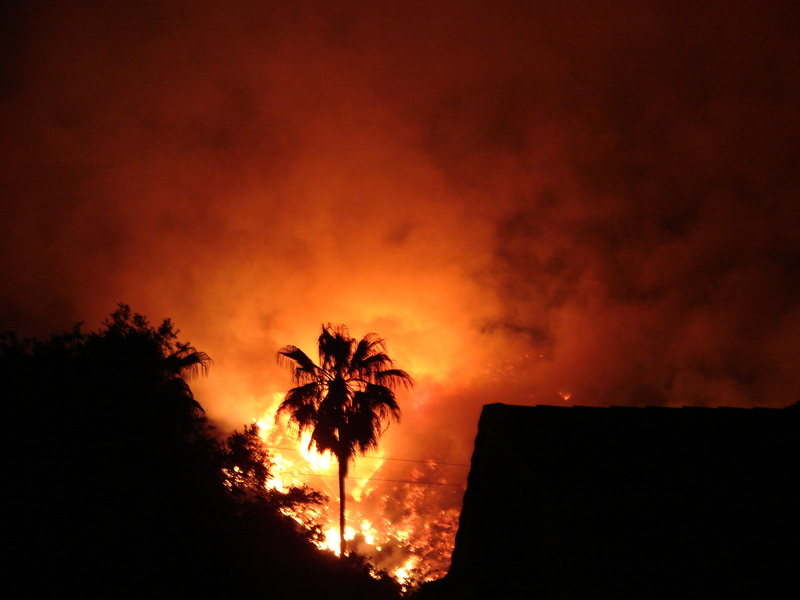 Wildland fires usually pass by fast and furiously. Typically, they’re controllable only when the wind dies out or they run out of fuel. If you reduce the amount of combustible brush around your house, you have taken the first step to preventing disaster. The success over the 2008 Santa Anita fire that occurred six years ago this month was no accident. The Fire Department put up a good fight; however, we could not have done it without the help of the homeowners who gave us a “fighting chance” by maintaining proper brush clearance around their homes. Each year, The Sierra Madre Fire Department works with the residents in the foothills to help provide that “fighting chance” that is desperately needed to prevent a disastrous fire. This is done through an aggressive brush management program and by educating the residents on what to do before, during, and after a brush fire. Maintain the first 30 feet around any structure free of native brush and hazardous vegetation. Aggressively thin and trim the vegetation 30 to 100 feet around any structure. Remove dead branches from trees and keep all braches 6 feet off the ground. Clear vegetation 10 feet from roadways. Remove tree limbs that are within 10 feet of a chimney outlet. Maintain 5 feet of vertical clearance between your roof and overhanging vegetation. Keep all roof surfaces clear of dead leaves and twigs. Post your street number on your house so it is visible from the street. In Sierra Madre, we have a conscientious community of educated, resourceful and dedicated citizens concerned about fire prevention. The need for fire prevention needs to be known. You can help us combat urban wildfire in your neighborhood, but you must start around your own home. This year’s Brush Inspections will begin mid-May. Working together, we can accomplish a common goal; abatement of hazardous vegetation. If you have any questions, or would like additional information, please contact the Sierra Madre Fire Prevention Bureau at 355-3611.